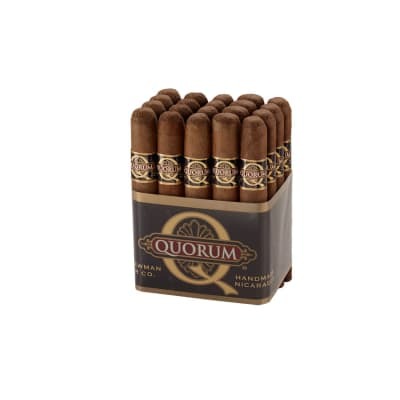 Quorum Classic cigars- ladies and gents, I present your new every day smoke. 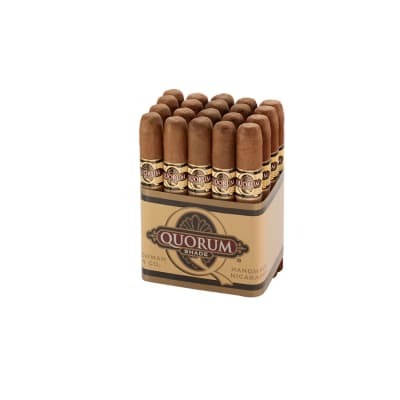 Made with premium filler and binder tobaccos and wrapped in a lush Ecuadorian Sun Grown wrapper for extra flavor, the Quorum offers a high class smoke for blue collar prices. Heck, at around $2 a stick, there's NO WAY you can afford NOT to pick up a bundle of your own. Great for doing yard work or simply to help you relax during some down time, Quorum is just what you need. Get your bundle today! A quick 15 minute smoke that fills a need. 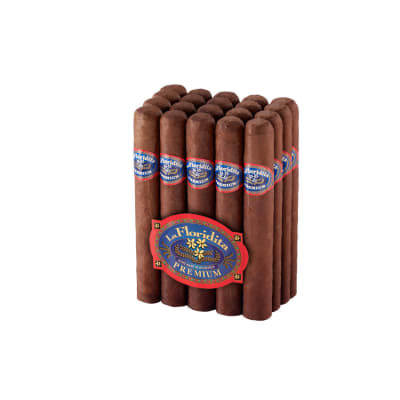 Full flavored for a little cigar. 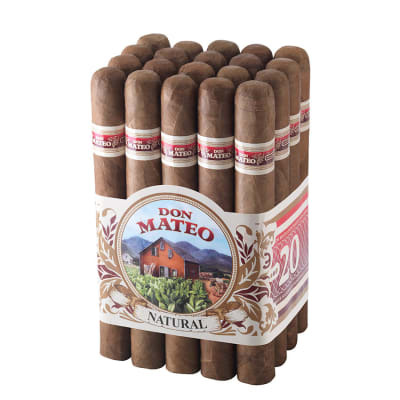 My son bought a few of these for me and I was surprised at the very easy draw and mild flavor. They smoked clean all the way through. This isn't an award winner here, but it's a good buck a stick cigar. 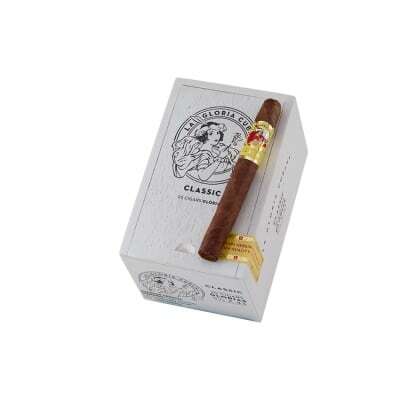 Nice flavor mostly just tobacco and a medium strength. Construction and burn are above average for the price range. The almost always seem a tad soft, but with a nice easy draw.